Students met last week at Illinois State University for a two day orientation to get familiar with the campus before classes begin in August, some accompanied by their parents. 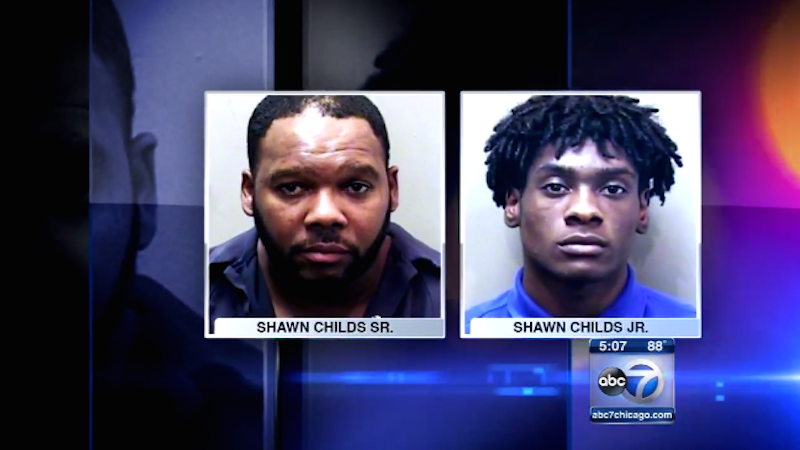 One woman is accusing a man named Shawn Childs Sr. of giving her drugs that made her vulnerable to an attack by his son, 19-year-old Shawn Childs Jr. The Chicago Tribune reports that the senior Childs offered to go buy alcohol for the underage students staying at ISU. She also saw him put a pill in her soda, which she drank. When he was arrested, Childs Sr. had 22 ecstasy pills in his pocket. The woman claims she became disoriented and ill, so she returned to her room. She says she was followed by Shawn Childs Jr., who allegedly raped her twice after barring her from exiting. McLean County Circuit Court by First Assistant State’s Attorney Adam Ghrist said that Childs Jr. admitted that the woman was “messed up” when he was with her. ISU Chief of Staff Jay Groves said that parents generally stay in a separate hall from students during orientation, and places the blame for the incident squarely on “ terrible criminal behavior on the part of adults.” He seems to be trying to make clear that nothing like this has ever been reported in ISU’s orientation history. Childs Jr. is being held in lieu of $10,035, and has no prior record. Childs Sr. has previous convictions for attempted murder, domestic battery and unlawful use of weapon. Both were arrested on Wednesday while at Uptown Station, waiting for the train back to Chicago. Their arraignment is July 29.